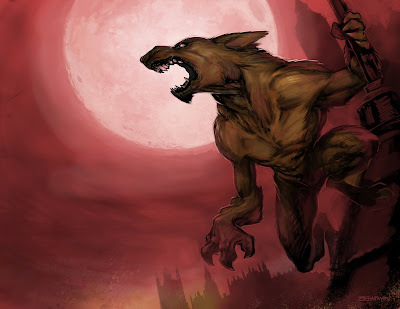 Green Box Blog: Insomnia Werewolf! The other night I must have have my afternoon coffee a bit late and ended up not being able to sleep. So here is the sketch that came out. This was inspired by Nigel's latest post, a great sketch of the grim reaper and a little girl, very creepy, very cool. And of course the Wolfman movie.